The school year has finally ended for me and I could not be happier. I feel like my blood pressure dropped back into the normal zone. Fifteen years (give or take) I’ve worked in public schools and none has even come close to this one. So it is not with any sadness that I see it go, and hope that next school year is far, far better. But, as I was getting those last things done – ten months of filing, preparing files for next year, getting yet more paperwork done – I came decided to try something totally different, inspired by all the Indian food Bob and I have been consuming in recent weeks. 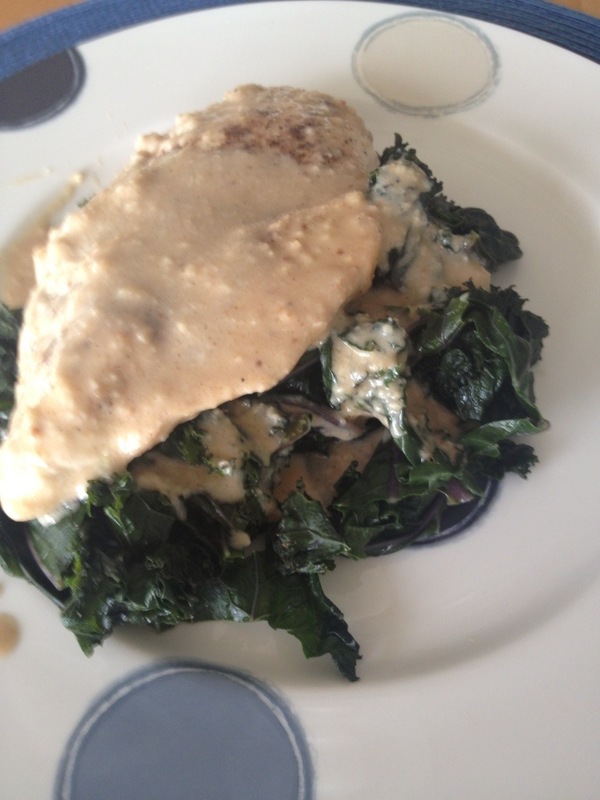 My veggie basket had some really pretty red kale in it, and I decided to go with a cashew coconut sauce for it and the chicken. I started with roasting some cashews, the combined those in a food processor with honey, sesame oil and a little red pepper. 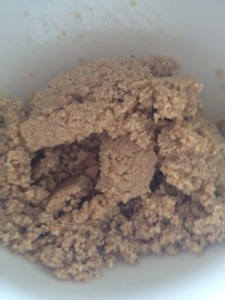 Once that was ground to a nice paste, I took some and added it to coconut milk. It was really, really thick so I added veggie broth to thin it a little. 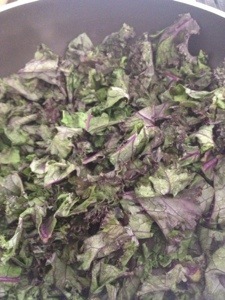 The red kale I kept simple – braised in veggie broth. The results were pretty good. I have another sauce that I think will go with a lot of things, and we had a meal worth taking a picture of for a change. 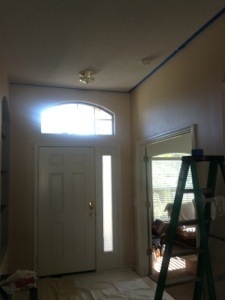 with taping the ceiling off and painting the boring sand a kind of boring white. 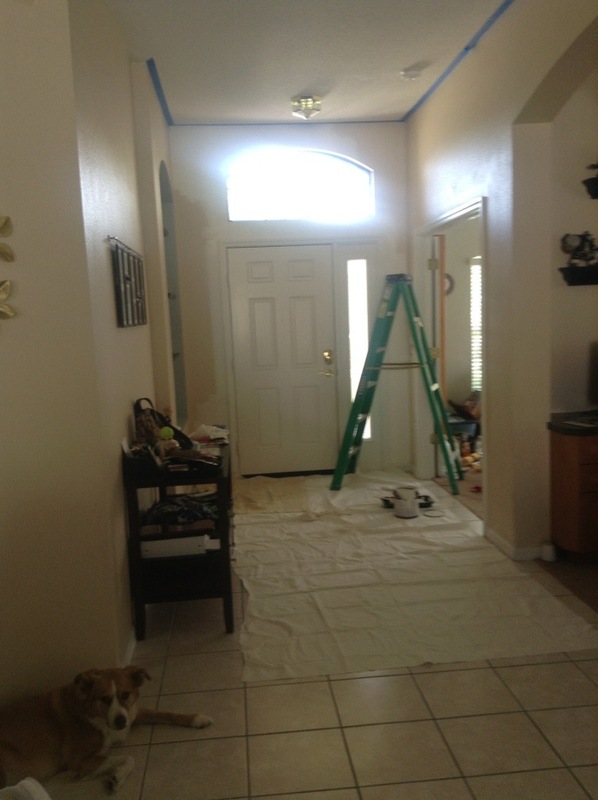 After the first coat was on, I went out to Home Depot, got the rollers I needed, came back and got the second coat on in much better time – and with cleaner results. Bob is really happy with the results and is working on patching the walls near the sliders for me so I can paint more tomorrow. 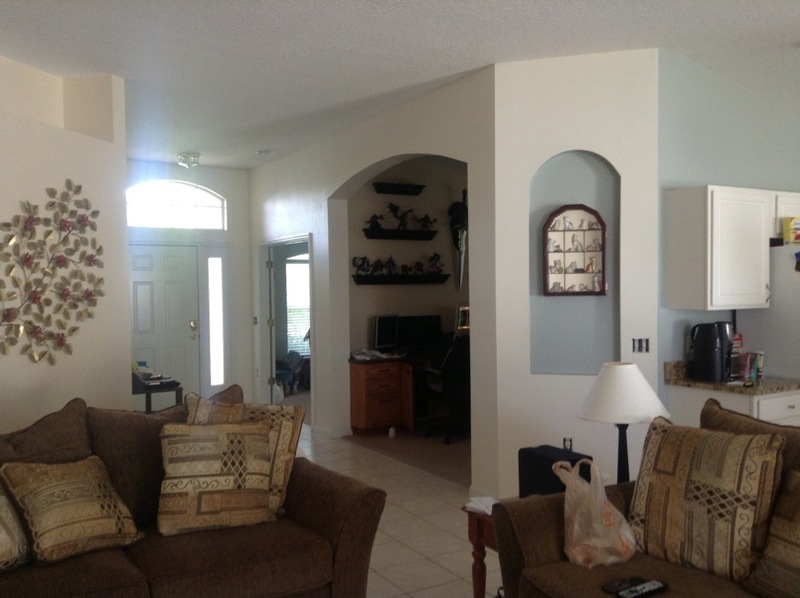 Right now it looks like the most boring wall around – white walls, white trim is very bland. But I know by the end of next week, I will have a fabulous brown trim and it will look a ton better. And really, If we decide I completely hate it, I can always paint it again in a few years. Paint is cheap. 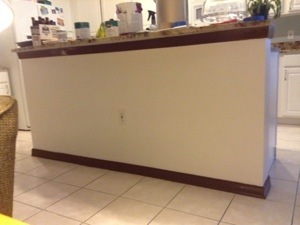 Way cheaper than other renovations I can envision, so we will stick with paint.